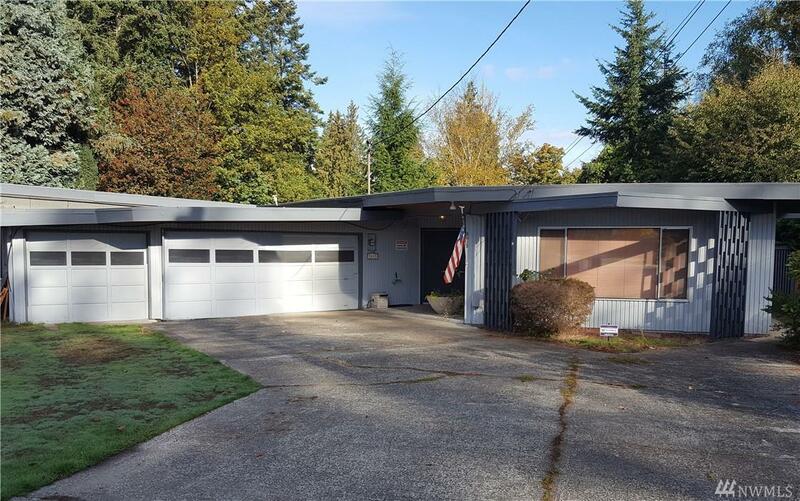 Don't miss this opportunity to own this custom Mid-Century Modern home in central Marysville. Frank Lloyd Wright style with so much potential - just needs some TLC. Huge garage/workshop allows room for all your hobbies. Walk down to Allen Creek from your back yard, or hop into the car for easy access to I-5 and the Seattle Premium Outlets. This home just needs a little love to become a true show stopper!